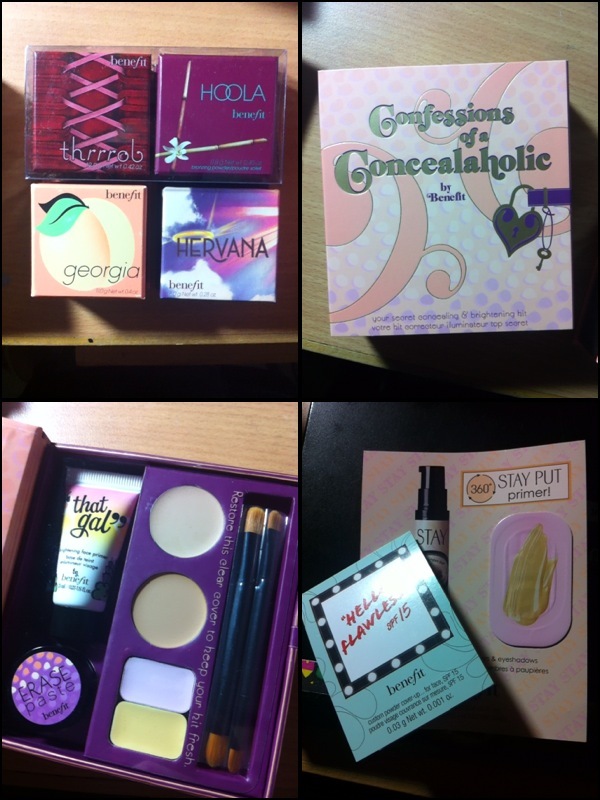 I mentioned in my previous month's aquisition post that I got a bunch of stuff (not much) from Benefit cosmetics. The reason being there's a set of Hoola + Thrrrob for USD$34, a deal. Above is everything I got, with a list below. Just FYI. let me know how you like confessions of a concealaholic, I kept my eye on it but it seems so much trouble to use that many products. Yes I think so too - that's why when I saw it on the US website I picked up one! It is still in the old "detach-entire-upper-lid" kind of design - perhaps the one I got is old stock? wow thats such a deal 2 for $34. hervana looks interesting. Let us know how it goes.